Accepting payments from your clients has never been easier with our comprehensive freelancer payment tools. With a Spera‘s freelancer payments platform, you can instantly start accepting Credit Cards, Debit Cards, ACH, and Person-to-Person transfers from your clients. Setting up a payment account is seamless and the process takes less than three minutes. Better yet? Spera Payments is free with your subscription to the platform. 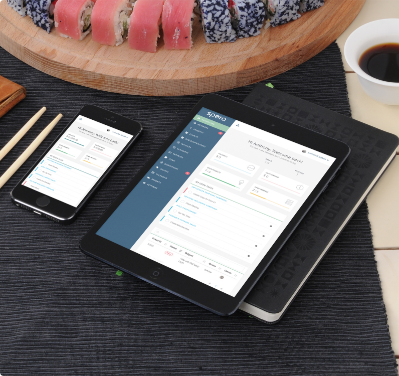 So you can begin customizing your client’s invoices and sending payment requests online or in person today. With Spera Payments, the days of having to wait for a check in the mail are long gone. 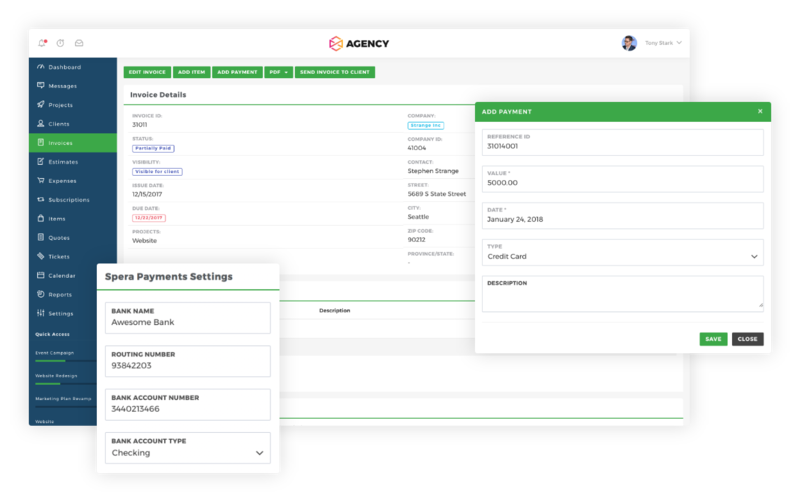 Our payment tools allow you to offer your clients several ways to submit payment, making the invoicing process easier for everyone. The payment dashboard allows you to set various privacy settings for invoices, add additional items easily and manage invoice information such as issue date, due date and project type. Your Spera Payments account is free with your subscription to the platform. Instantly sign up and start accepting payment today. Give your clients the option to pay with any Debit or Credit card. Avoid the wait and get paid faster. Receive money directly with ACH payments. The more options you provide, the easier it is to get paid quickly. Send person-to-person payments fast and for free. When both parties have a Spera Payments account, no fees apply. Track your time with Spera. Send your invoice with Spera. Get paid through your Spera Payments account. Sign up and start accepting payment in under 3 minutes. It’s quick, easy, and simple with a Spera Payments account. Our easy-to-use payment system takes the hassle out of invoicing your clients. You’re also able to present a professional look in a few simple clicks, branding invoices with your logo and company information. Our platform accepts a wide range of payment types, from credit cards to ACH and in person transfers, for the convenience and benefit of your clients. Whether you’re working independently as a one-person team or within a group setting, Spera Payments provides an improved invoicing system. Our freelance website portal for independent entrepreneurs doesn’t just help you with improved payment processing, though. We’re an end-to-end freelance platform that helps you find jobs, manage clients, improve your work flow and get paid. Learn more about our freelance platform solutions and client management services today.